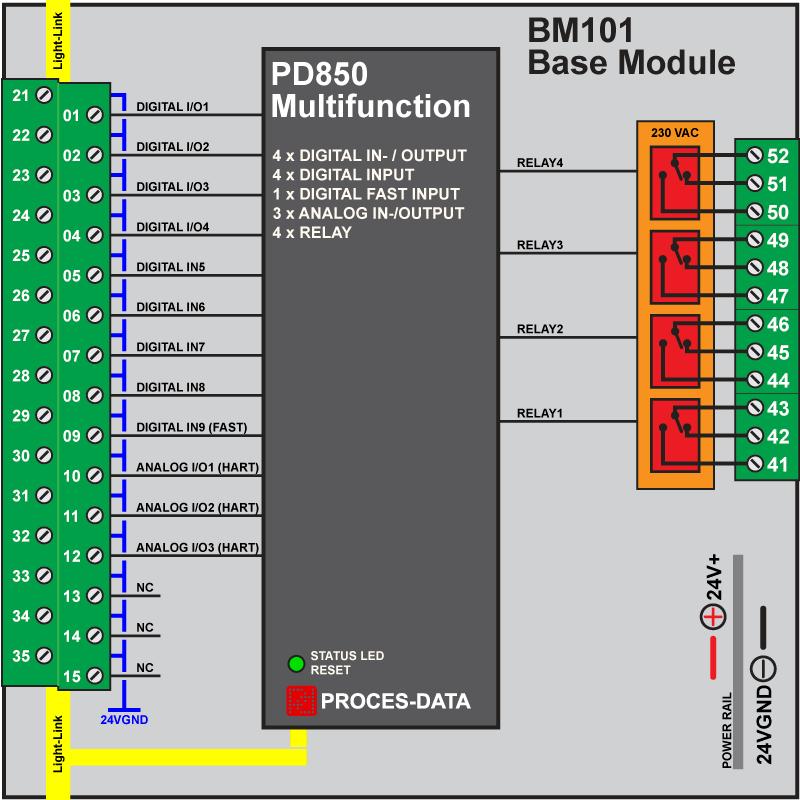 PD 850 is a device in the M100 series with both digital and analogue channels. The device offers 16 channels as interface for various types of process signals, valves, pumps, level detectors, temperature and pressure transducers etc. – 5 digital inputs, whereof one channel can operate as fast digital input. 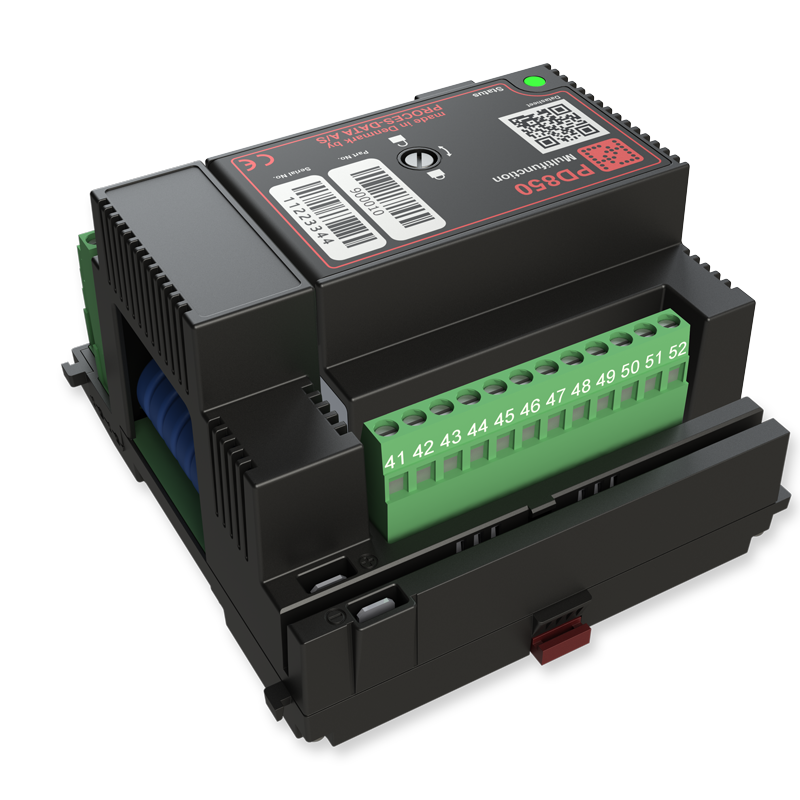 Digital inputs can be configured to perform Line Check. The Line Check function can be used in relation to two-wire proximity switches. In case of error the hardware will report either ‘Line open’ or ‘Line short-circuited’ respectively. All output channels can source a positive voltage to external loads relative to the common negative supply voltage. All channels are protected against overload and short-circuit to both negative and positive supply voltage and notification can be enabled on any disconnection or process failure. The supply current for the device must be limited with a fuse. The total current for all outputs on the device is limited to 5 A. 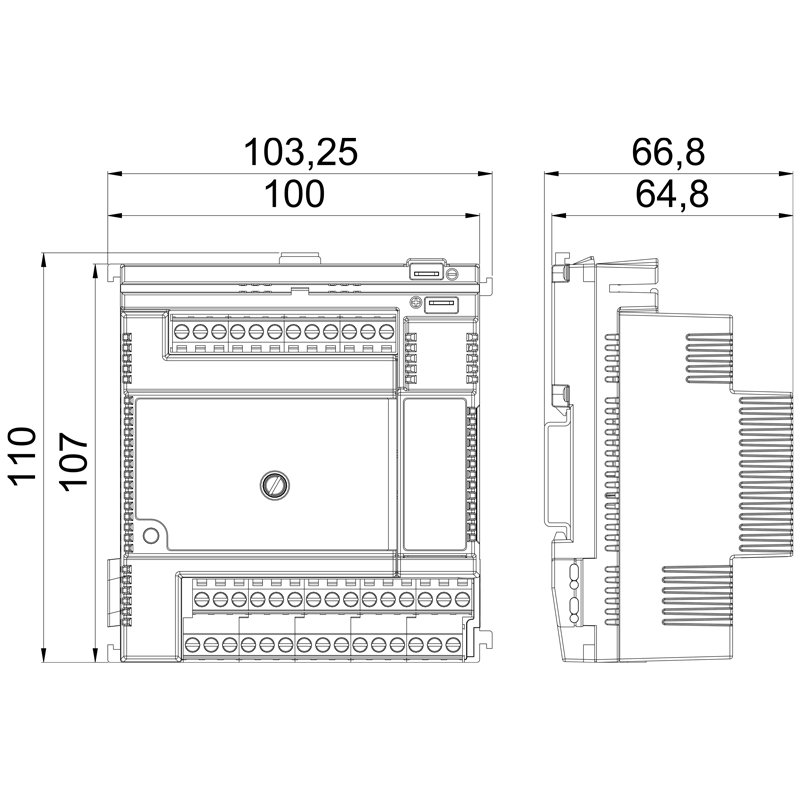 The device is programmable in COPP, which means that a part of, or complete automation application can be built and downloaded by the user. 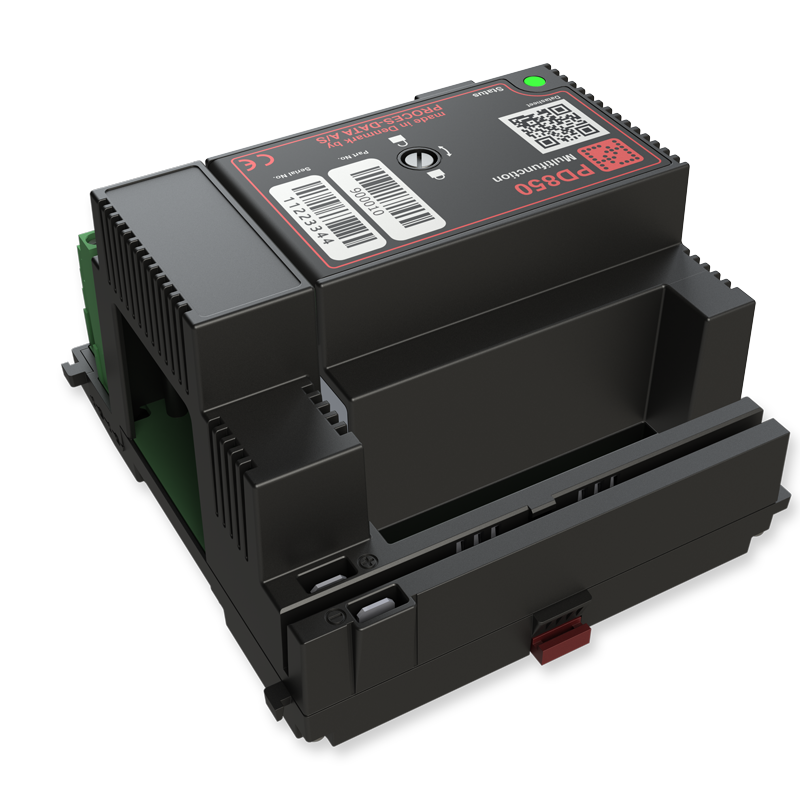 The program can make use of ready-made components to control and monitor any process or machine application, both locally in the device but also via the network interacting with other devices. 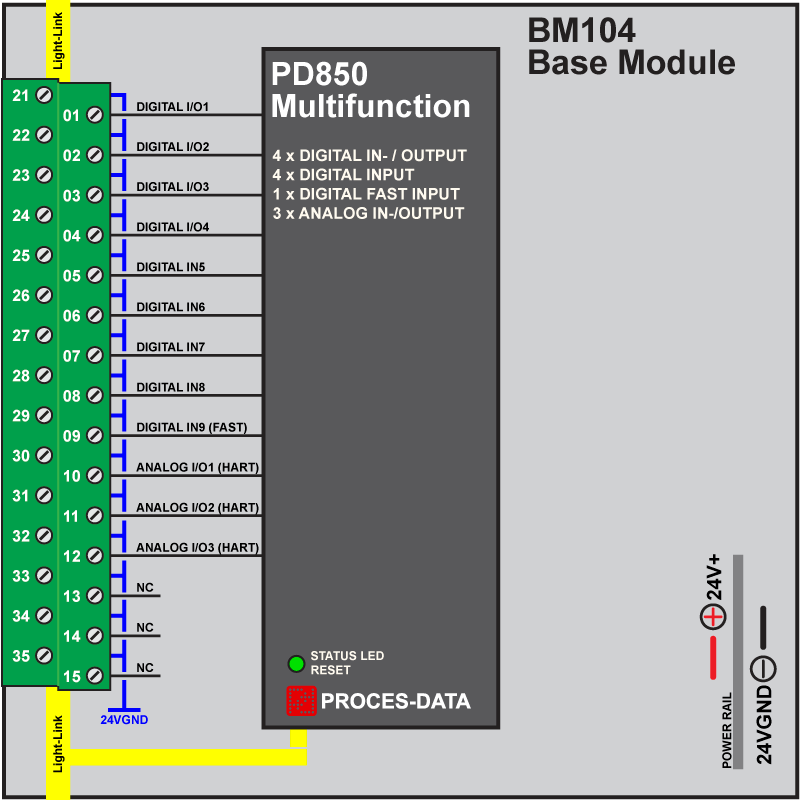 PD 850 is normally used with the BM 101 base module. 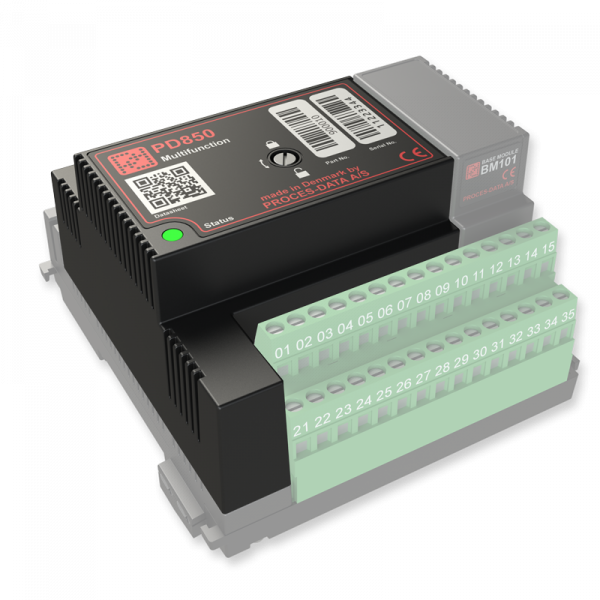 PD 850 can alternatively be used with the BM 104 base module that does not provide connections to relays. This will reduce the available number of channels in PD 850 to 12. The device can be fixed to the base module by means of a screw. 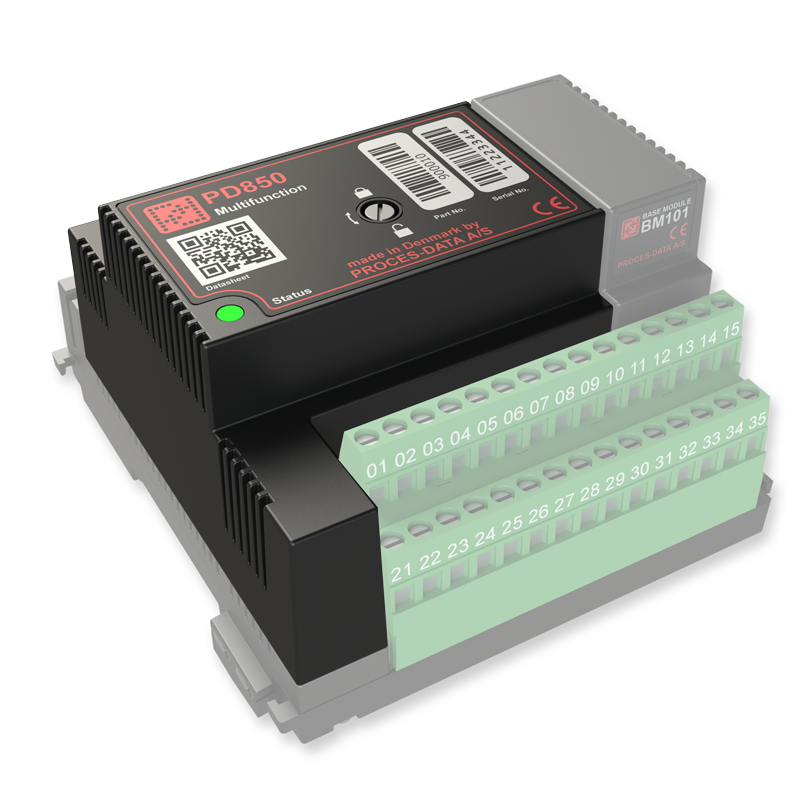 PD 800 series DPIs and I/O devices are made up of two parts: The Terminal Base Module and the Electronics Device. 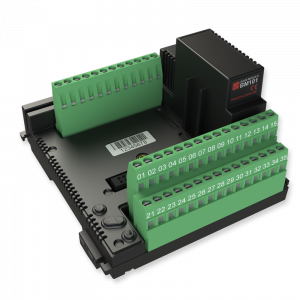 The Terminal Base Modules are snap-locked directly on a DIN-Rail and interlocks with neighboring modules to ensure stability. 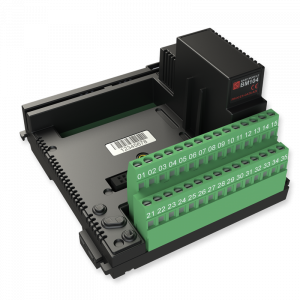 The Terminal Base Module has two terminals for all the channels for connection to the process signals, respecting the demand for only one wire in each terminal, ensuring a safe and straight forward design- and installation process. One of the two terminals is with the negative supply and the other is the input / output terminal. Having only one wire in each terminal will enable that the wiring to/from process signals can be done directly, without the need for any further intermediate terminals.